Data unavailability results in lost revenue, customers or business failure. Of the companies experiencing disasters, 43 percent never reopen and 29 percent close within two years. 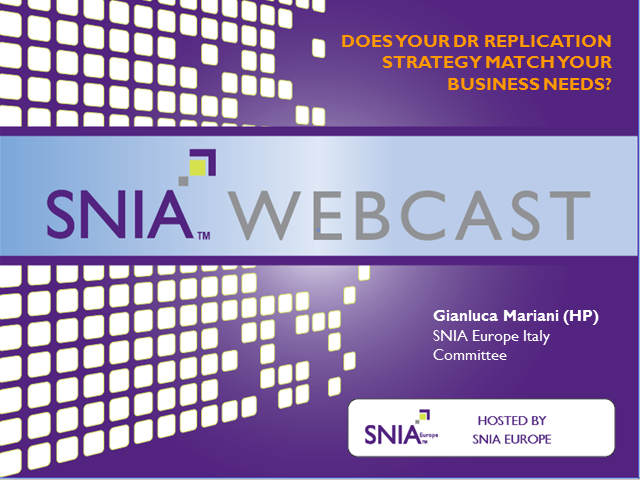 Join Gianluca Mariani and other members of the SNIA Italy committee as they discuss the best disaster recovery replication strategies, focusing on defining SLAs, choosing the right architecture, choosing the ingredients, and how cloud can play a part in DR.